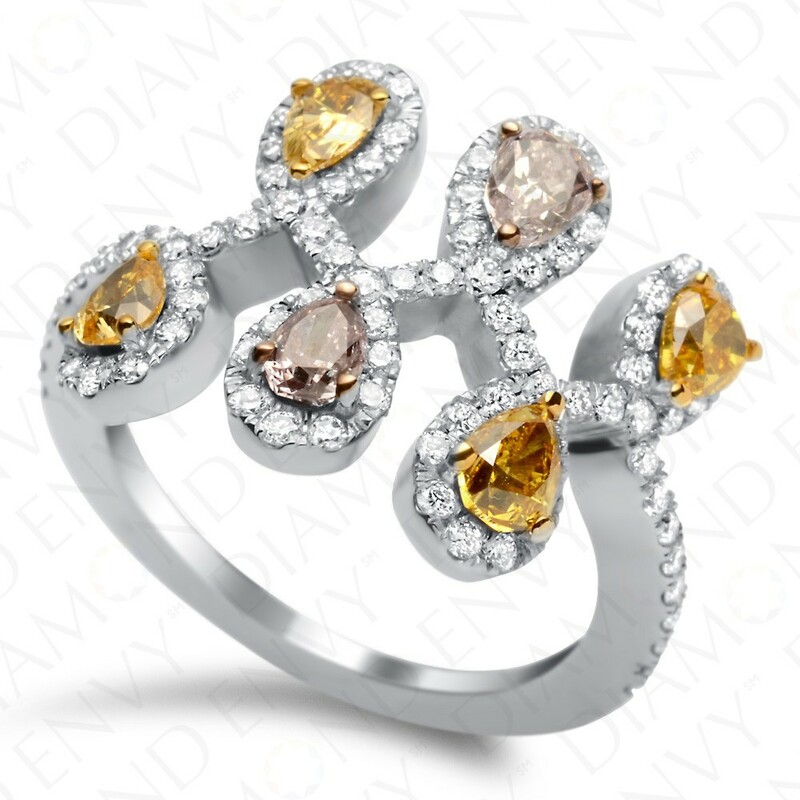 Artistically whimsical and charming, this 18K white gold ladies’ fashion ring features three fancy colored diamond pairs: Fancy Intense Yellowish Orange diamonds; Fancy Pink-Purple diamonds ; and Fancy Deep Brownish Yellow diamonds, all pear-shaped. The fancy colored diamonds are individually framed by interlocking pear-shaped halos of 88 white diamonds, 0.90 ct. tw., that also accent the upper parts of the shank. The design loosely resembles figure eights. The look is distinctly playful and modern. Gold weight: 5.80 grams. House-graded.